Summary: The foundation of a business lies with a great business idea. If you’re sold on starting your own business for the first time, chances are you’ll be looking for an innovative idea that could you could expand on. As you already know, starting a business from scratch is an agonizing process that involves planning, strategizing, and growing. But, when it’s all said and done, it all boils down to a great business idea that’s worth investing in. 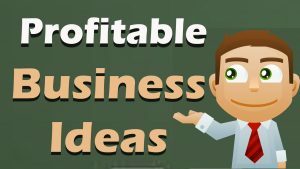 Here are some solutions to assist you in your search for a profitable business idea. Before you start developing ideas for your business, you’ll have to brainstorm. You have to remember that during the whole process, you’ll be coming up with some fantastic ideas and jotting them down as you go along. However, most people end up looking at the list and immediately thinking that they’re not “good enough” to execute. You have to get that out of your mindset if you’re planning on creating a foundation for your business. First-time business owners often run into the idea that they can’t come up with a profitable building block for their business, so they just give up. Do you know people that tell you about an exciting new project only to abandon it two weeks later? The thing with coming up with business ideas is that it takes time. Nothing good comes out of just giving up right before you even execute your plan, right? After an onset of successes and failure, you’ll eventually get your foot in the door and even potentially make it big. Just ask famed entrepreneur Sebastian Guthery. You don’t need a multi-million dollar idea to succeed. It’s very important to remember this, as people tend to think bigger in the beginning stages. Start with the fundamentals and work your way up the ladder from there. What might seem like a small, unfinished idea could turn into a masterpiece in the future. Written by Sebastian Guthery. Guthery is a successful entrepreneur who runs a Kratom supplements business. He grew up in Wichita Kansas but now lives and works in San Diego, CA. Visit Sebastian Guthery’s Linkedin page for more info.